Following the recent announcement of its Pitching for Pennies initiative, staff at Russell Roof Tiles have already rallied together to support charities that are close to their hearts. Russell Roof Tiles announced the Pitching for Pennies initiative at the start of 2019, in order to encourage and reward staff for their fundraising efforts. For the first time, the leading roof tile manufacturer has pledged to match fund the amount of money its staff raises for charity. 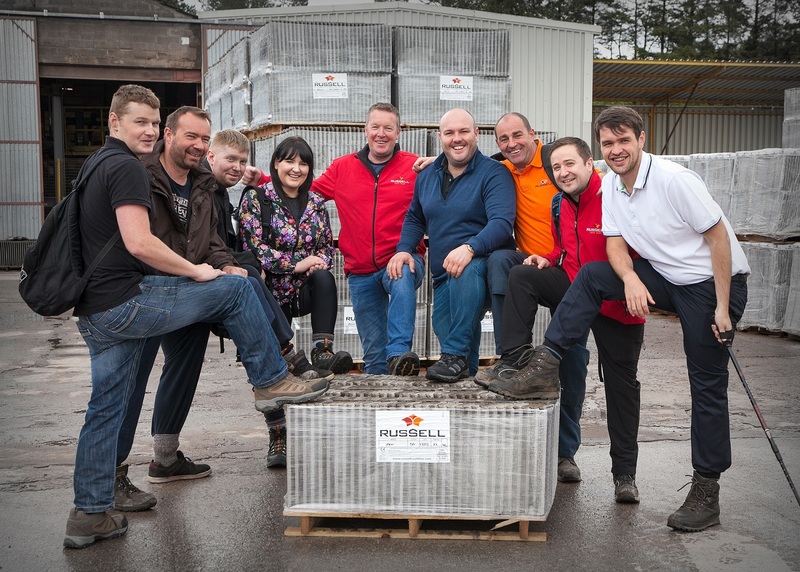 Since the announcement, staff at Russell Roof Tiles, which employs 160 people at its Lochmaben site and its two sites in Burton on Trent, have been keen to throw their hat in the ring and take on charity challenges. Macmillan Cancer Support, Cancer Research and the Marine Conservation Society are just some of the charities set to benefit. Five employees in Russell Roof Tiles’ customer services team will be travelling to Skegness in September for the ‘Great British Beach Clean Up’ and will be removing plastic and rubbish to prevent it being washed in to the sea and becoming harmful to the Marine Wildlife. As part of this, the team hopes to raise £1,000 in support. One keen fundraiser, Bruce Laidlaw, Operations Director at Russell Roof Tiles, will be taking on a special 1.5km Swim-a-thon challenge on Sunday 31st March with his family at Dumfries Swimming Pool, while Nikki Rowbotham, HR Manager at Russell Roof Tiles, has chosen to have a sweet-free March, by giving up sugar for a whole month. They will both be raising money for Cancer Research UK. Nikki said: “Cancer is an illness close to my heart as I have seen close family members and friends all affected by the devastating disease, so I was keen to take on a charity challenge in support of Cancer Research UK. Matthew Sutton, Production Operative at Russell Roof Tiles, also chose to raise vital funds for Macmillan Cancer Support, by participating in a boxing match on 16th March at Milton Hilltop Hotel in Carlisle in front of more than 200 people. He raised £400 for the cause. Managing Director at Russell Roof Tiles, Andrew Hayward added: “I am proud to see so many staff show such a passionate interest in the Pitching for Pennies initiative, in order to support causes close to their heart. Russell Roof Tiles has always been dedicated to supporting local causes, raising an impressive £78,000 for a variety of organisations since 2015. This year, the manufacturer plans to raise even more money through the Pitching for Pennies initiative and charity events including its annual quiz, a golf day and staff offering a monthly salary donation.